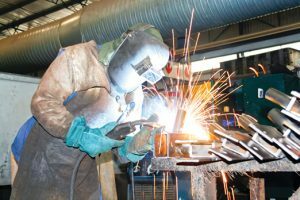 Offering a full service custom welding shop with unparalleled expertise ranging from light-gauge sheet metal fabrication to custom steel fabrication, to the heaviest of design build fabrication, Tuckey Metal Fabricators, Inc. is a well-known player in the Central PA region. Utilizing state-of-the-art computer-aided technology, we help customers meet the challenges of original equipment manufacturing (OEM) and distinctive custom fabricating. Since 1978, Tuckey Metal Fabricators, Inc. has been an area leader in custom, architectural and structural steel fabrication. Our clients have trusted us with a wide range of projects requiring precision machining, advanced welding capabilities and sophisticated design services. We specialize in providing fast turnaround times and excellent customer service on all projects, from large orders to custom jobs and repairs. Contact us today for all your structural steel fabrication needs! We may not be the only custom steel fabrication shop in central Pennsylvania, but we’re one of the oldest and definitely one of the most well-regarded. Our reputation and our success are not accidental: they are the product of years of commitment to producing the best product possible, with the fastest turnaround times. Advanced capabilities: We’ve invested heavily in leading-edge technologies to become the most modern machine shop in the area, offering a diversified array of metal fabrication, welding and other services. We are equipped with a high-definition automated plasma cutting system as well as other computer numerical control (CNC) lathes, turners and mills—all equipped with the latest software that allows us to duplicate complex processes with the highest tolerances possible. In-house CAD design: Tuckey Metal Fabricators features an in-house CAD department that can produce highly detailed mockups of parts, designs and other structural steel components. Our advanced design capabilities have allowed us to produce structural and architectural components for both residential and commercial buildings, as well as other applications such as ductwork, conveyors and heat pumps. Accurate estimating: Our structural engineers and project managers have a long history in industrial and commercial estimating, job costing and plant/facility maintenance management. Our team knows structural steel fabrication inside and out, and we provide accurate estimating, after-sales support and field consulting services. 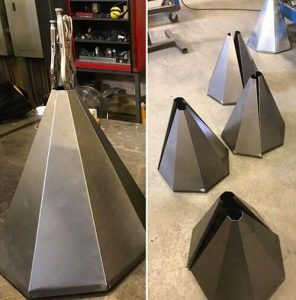 Going the extra mile for our customers is just one of the reasons why we’ve earned our reputation as the best metal fabrication company in town! Our clients have included famous names such as Harley-Davidson, for whom we designed architectural trim for their York, PA factory’s visitor center, and IBM. But you don’t have to be a household name to benefit from Tuckey Metal Fabricators’ world-class customer service. We believe a local business and a multinational company deserve the same treatment, regardless of the size of their order. 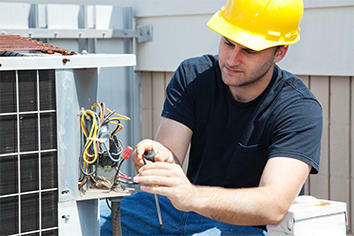 You’ll see our commitment to excellence in everything we do. Contact us today and let us be your structural steel fabrication experts!